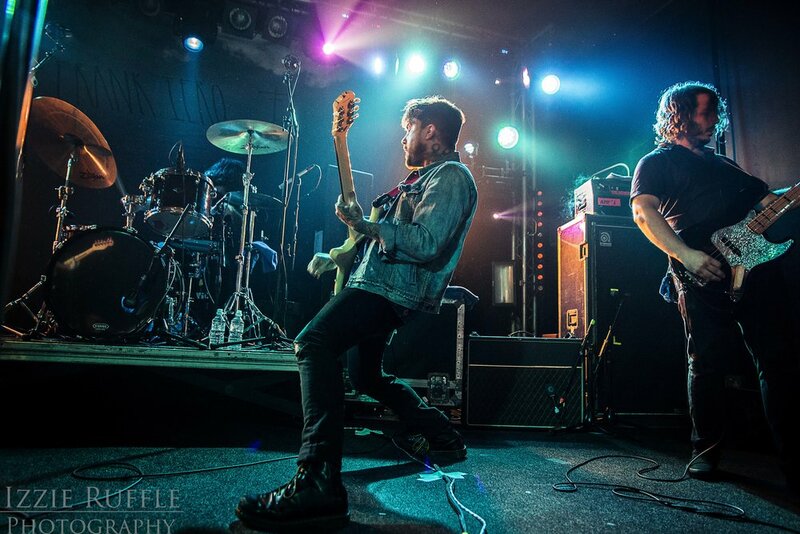 Five dates into Frank Iero and the Patience’s UK & European tour, the band performed at the Concorde 2 in Brighton. 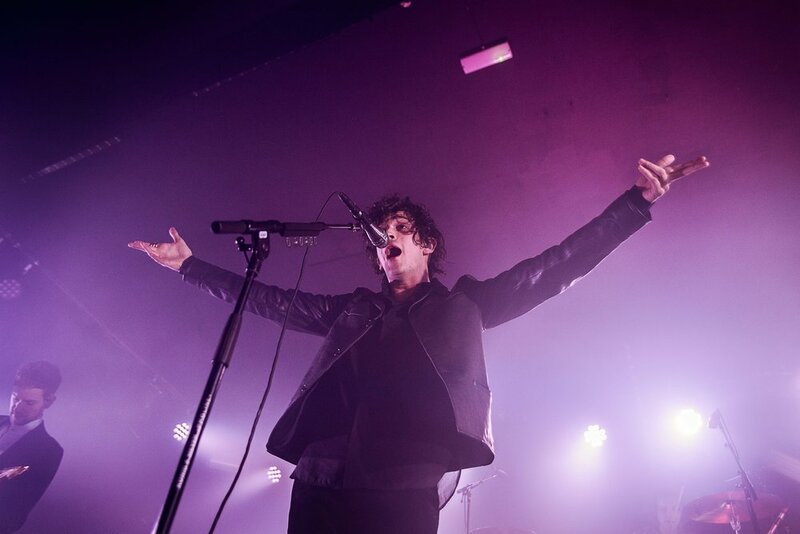 Situated on the seafront, the venue saw fans queuing early in order to get a place at the barrier. Paceshifters opened up the evening, one of three support acts, the grungy alternative rock band played a loud and energetic set. Moody, dark red and blue lighting flooded the venue, and the three piece band from The Netherlands did an outstanding job of warming up the crowd. 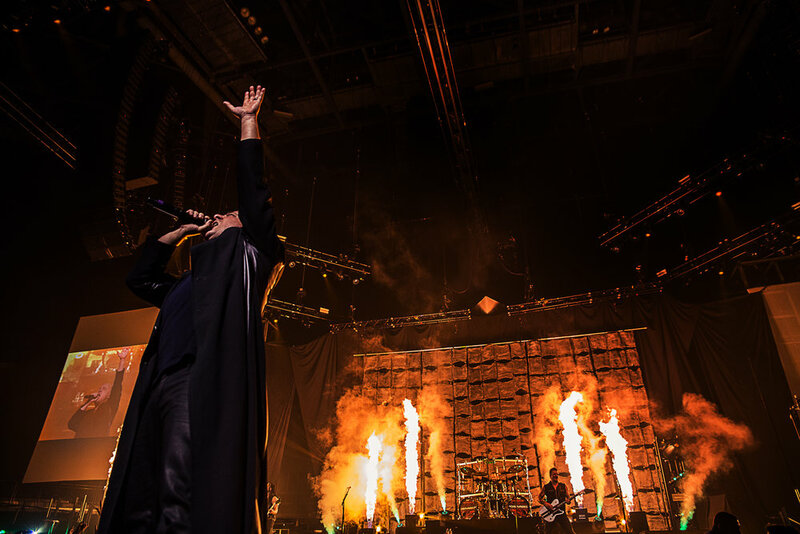 Their set was comprised of six songs, and despite starting as people were still entering the venue, they still successfully managed to get the crowd moving. 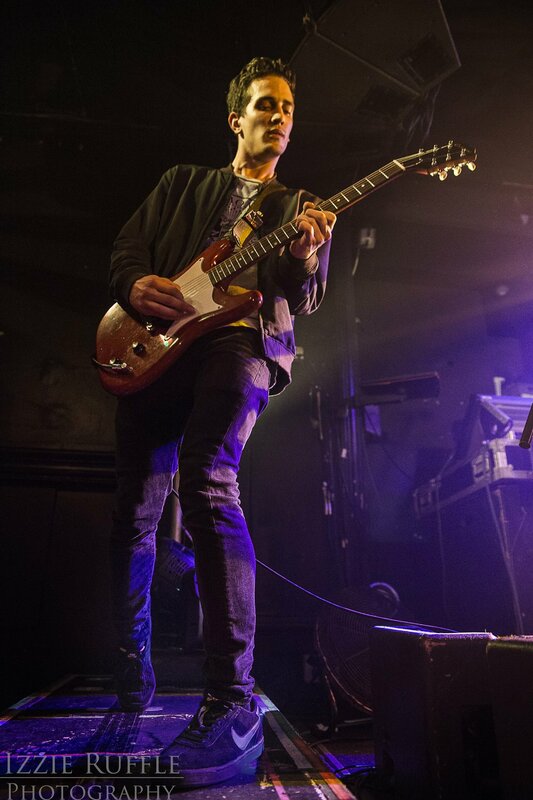 Paceshifters’ set saw frontman Seb Dokman throw himself across the stage in an eclectic and frantic manner, curly hair flying in every direction, the raw energy of the performance itself was enough to engage the audience. This was accompanied by his brother, Paul Dokman on bass, who also appeared to struggle with staying in one place while performing, climbing onto a box in front of the barricade mid-set. 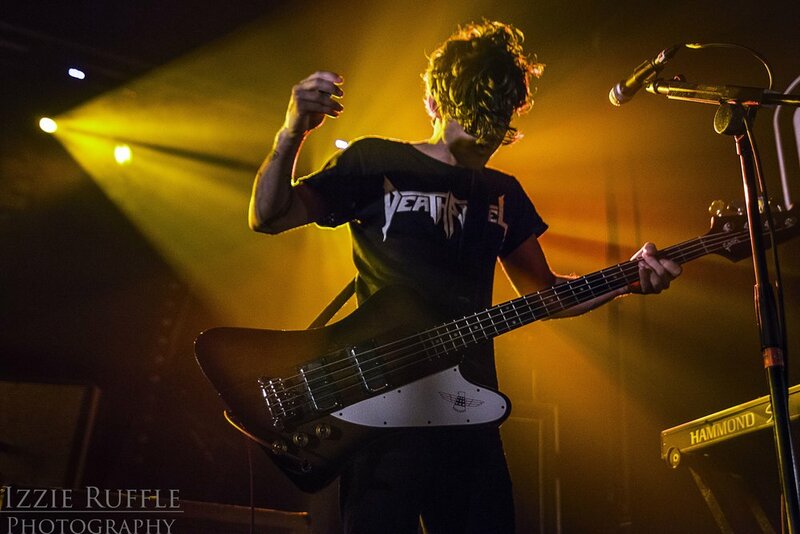 Paceshifters performance set the bar for the rest of the evening; it was frantic, exciting and engaging. Paceshifters are set to release a new album, Waiting To Derail on October 6th through Hassle Records. Those who hadn’t listened to The Homeless Gospel Choir before were probably quite surprised by the next support act. Contrary to Paceshifters, and the rest of the line up in general, The Homeless Gospel Choir is a one man protest singer. 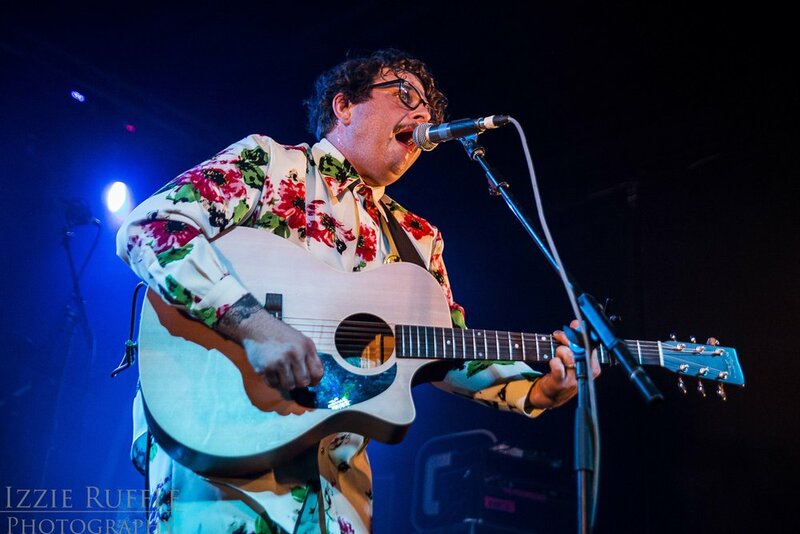 With a voice that can best be likened to an amplified Tom DeLonge, Derek Zanetti, the man behind The Homeless Gospel Choir, took to the stage in a matching white flowery suit jacket and trousers, equipped with an acoustic guitar, he spoke fondly of the punk scene, and knew exactly what to say to get applause from the crowd. 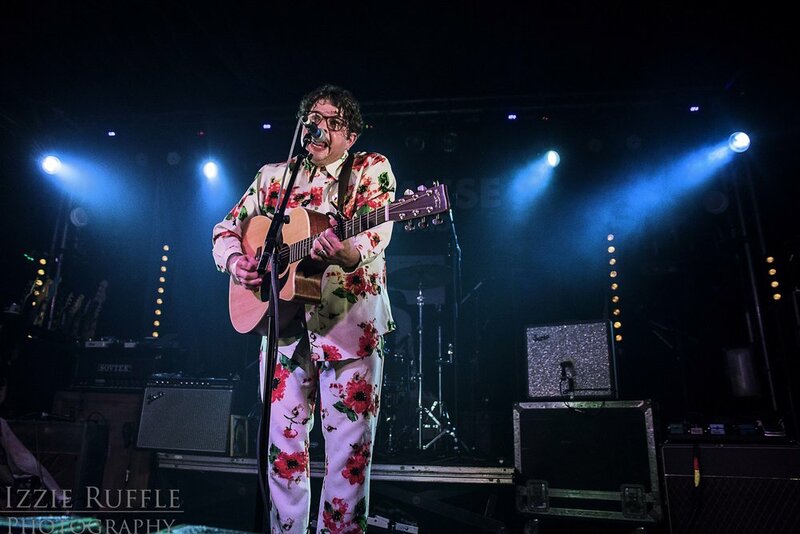 Witty, political lyrics, combined with a humorous delivery and a way of expressing vulnerabilities in a relatable, comedic way helped Derek secure the love of fans in the venue, each song would be accompanied by a round of applause, with crowds throwing their own input in occasionally. Although not as animated as the previous band, The Homeless Gospel Choir played an engaging set, which saw Pittsburgh born Derek Zanetti warm up the crowd in a slightly different, but captivating way. All in all, it was a light-hearted performance with serious undertones, presented in a whimsical way. The Homeless Gospel Choir’s latest album, Normal, is out now on CD, Vinyl, and digital download. 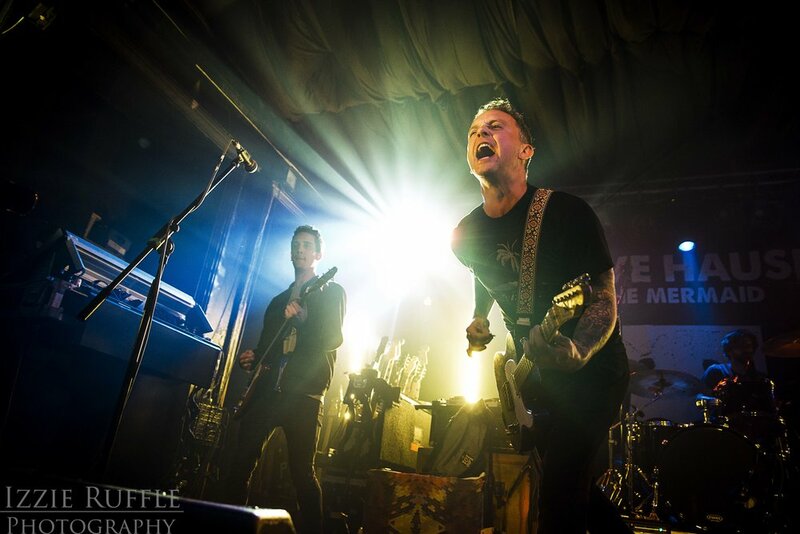 Dave Hause and the Mermaid are a high energy, indie rock ‘n’ roll band from Philadelphia. They followed The Homeless Gospel Choir in the lineup, yet their performance was closer to that of Paceshifters. The band climbed on the speakers, stood over the crowd and engaged with the audience on multiple occasions. 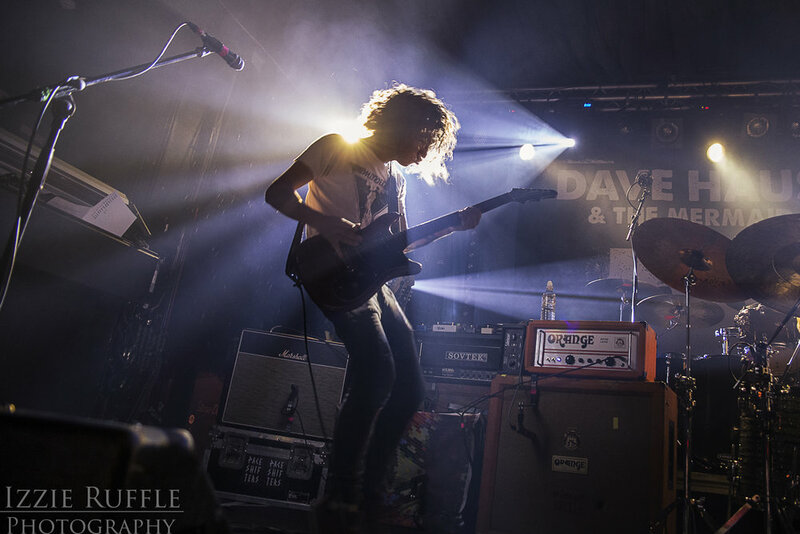 They opened their set with acoustic song, Divine Lorraine, before throwing themselves into a vibrant, exciting rock and roll show, Dave Hause and the Mermaid was the perfect act to take to the stage prior to Frank Iero. 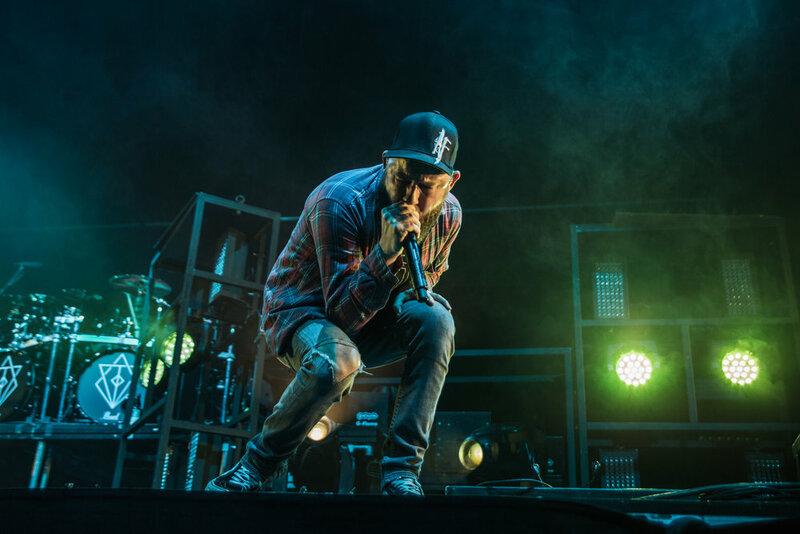 Bright lights, catchy songs, and a captivating frontman were all contributing factors to the success of their set, which saw the crowd jumping and singing along, at one point a keyboard-kazoo type instrument was even played onstage. Autism Vaccine Blues, and The Mermaid followed Divine Lorraine. 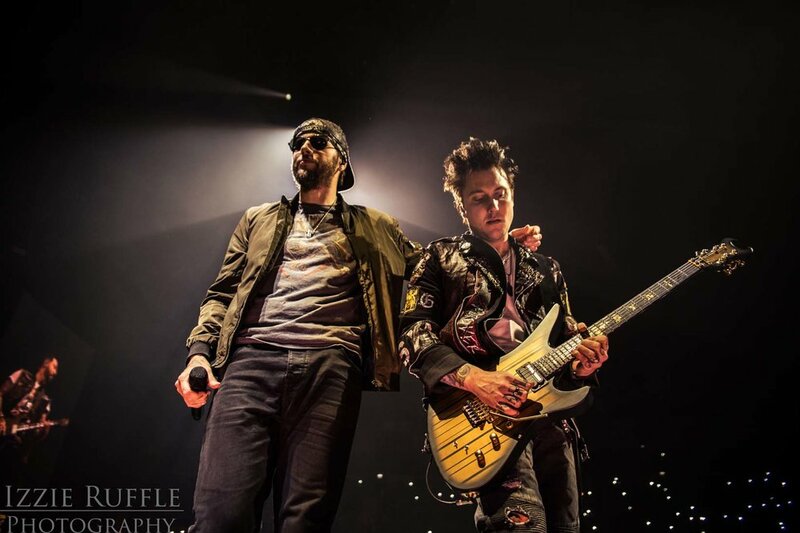 The band performed ten songs in total, and toward the end of their set, he gave a heartfelt speech about Dave’s mother passing of cancer when his brother was eleven years old, and explained how music played a massive part in helping them deal with that, a statement which likely resonated with several people in the crowd. The band closed their set with We Could Be Kings, Ghosts on the Boardwalk, and Dirty Fucker, a clear jibe at American president Donald Trump. Overall they played an impressive set, anyone who hadn’t heard of Dave Hause and the Mermaid prior to the show, were certainly blown away by them at the end of their performance. Dave Hause’s latest album Bury Me In Philly is out now! 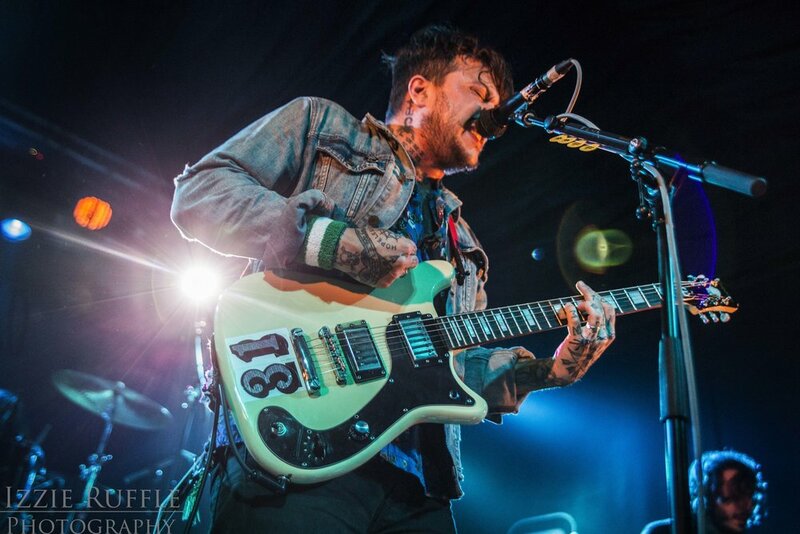 Frank Iero and the Patience, the headliners of the evening, took to the stage in a high energy, frantic manner. Opening their set with World Destroyer, Neverenders and Blood Infections, the band performed expertly. 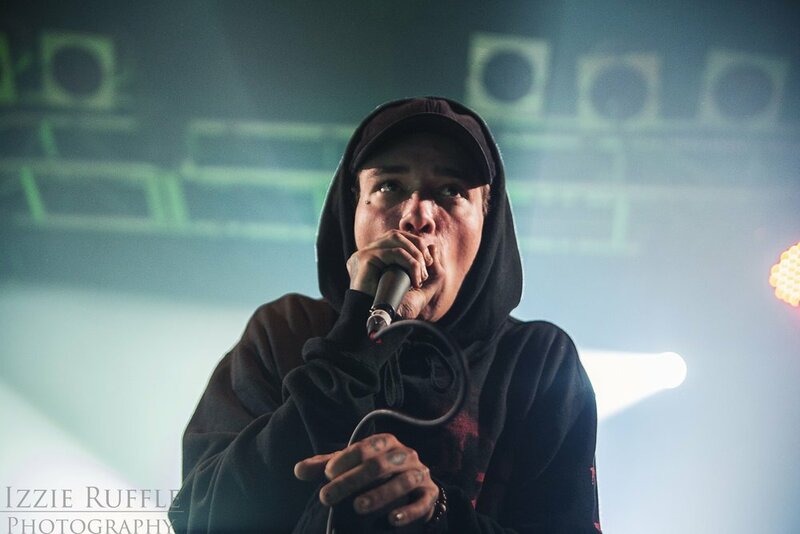 It had all the feeling of a raw punk show, with Frank Iero and the Patience blasting through track after track. 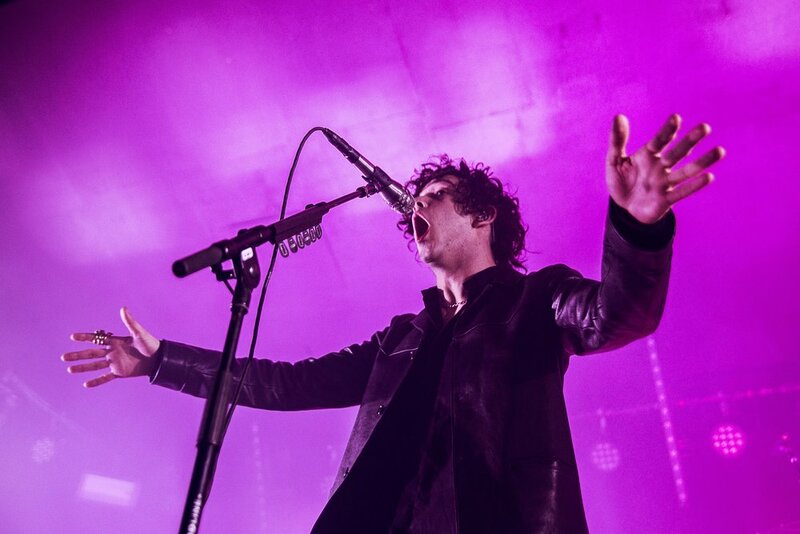 Their setlist for the evening was an impressive one, with several songs from the band’s latest album, Parachutes being performed, including: Dear Percocet [...], Remedy, and Miss Me. 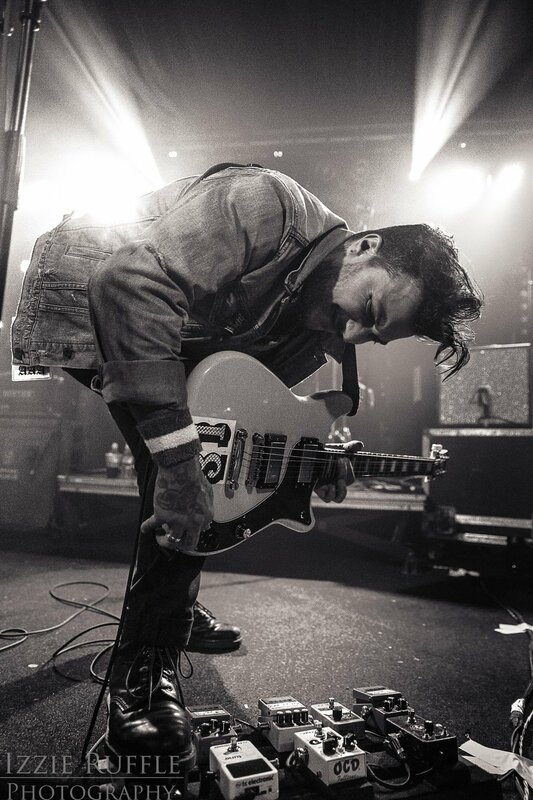 When the band wasn’t playing, Frank Iero was engaging with the crowd and keeping the lively atmosphere going in the room, he announced that Brighton was one of his favourite places to play and even asked members of the crowd who was sweatier, all of which made for a light-hearted and engaging performance. Watching the crowd throughout their set was almost as exciting as watching the band perform onstage, circle pits, parents dancing along, and crowdsurfers could all be seen in the small six-hundred capacity venue, the seafront concert hall was hot and sweaty, and throughout the set very few phones could be seen in the air, with people seemingly choosing to experience the show firsthand instead. 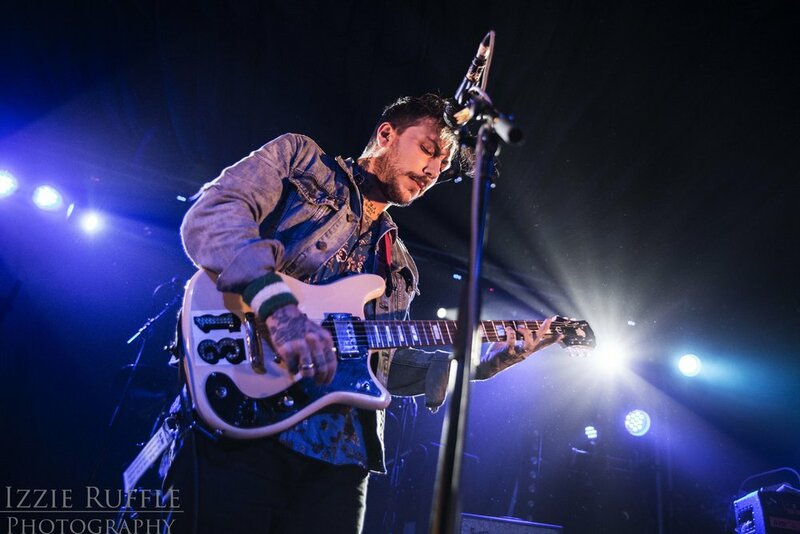 Frank Iero and the Patience performed fan favourites including Weighted, She’s The Prettiest Girl at the Party (And She Can Prove it With a Solid Right Hook) and BFF. 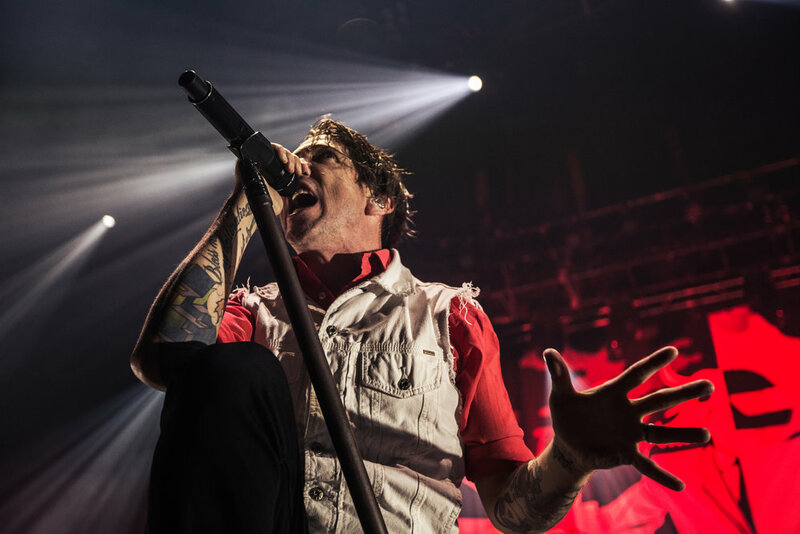 In the pause between the end of their set and the encore, the crowd could be heard chanting “Oh, Jeremy Corbyn!” quite a fitting chant, considering the previous political undertones of the show, and when Frank Iero and the Patience reappeared onstage, they closed the night with Miss Me, Joyriding, and Oceans. Watching Frank Iero and the Patience perform on that Monday night in Brighton made one thing clear, regardless of the size of the venue or stage he’s occupying, Frank Iero has an incredible command over crowds, his excitable, punk rock attitude fills any concert hall, and it was clear that everyone spilling out of the Concord 2 that night left feeling hyped up and excited about the evening. Frank Iero and the Patience have a new E.P. Keep The Coffins Coming, out now!